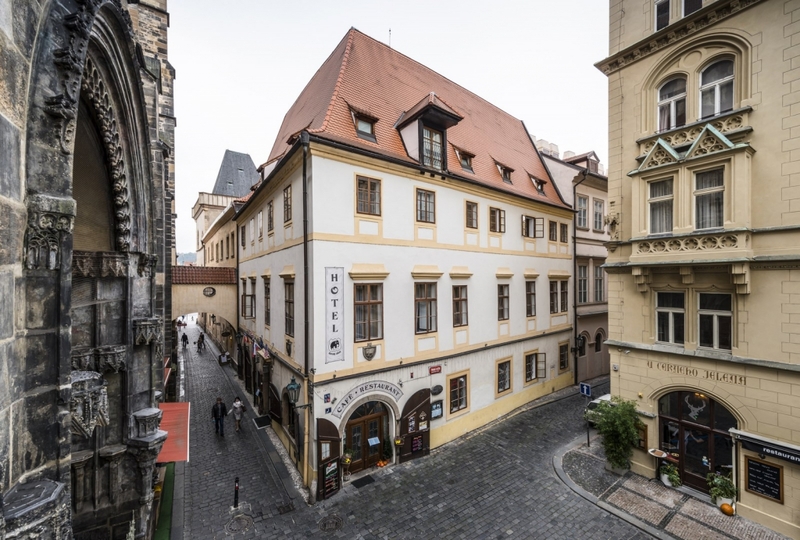 The house U Cerneho Slona was built according to historical records of Prague Municipality in the period 1330-1340 in the Gothic style. which has been preserved in its original state. Very well maintained is also the original wall around the door of the hotel. Over the centuries, the house of our hotel changed owners many times. The most famous of these was probably Mr. Capek, who ran the famous junk shop until the formation of our family hotel. 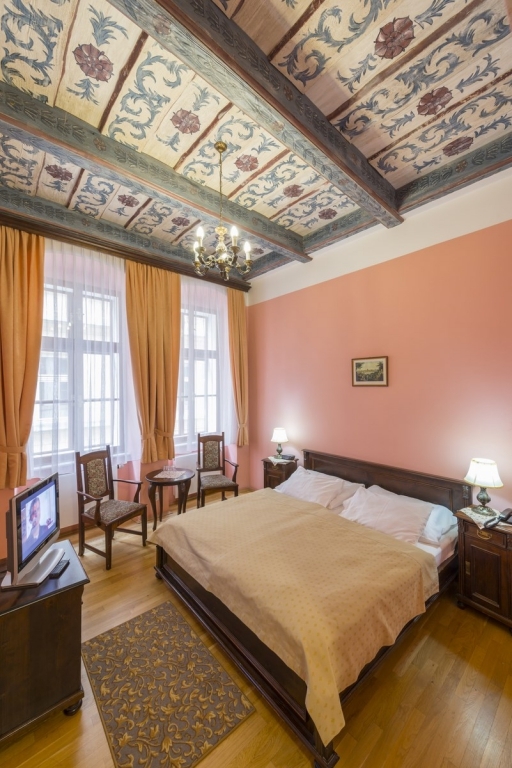 According to some historical sources, Czech King and Roman Emperor Charles IV was born in the neighboring house. And so it is not so surprising that walls of our hotel building have witnessed visits of historicaly significant persons such as Tycho Brahe, Mr. Vaclav Havel and Mrs. Albright. 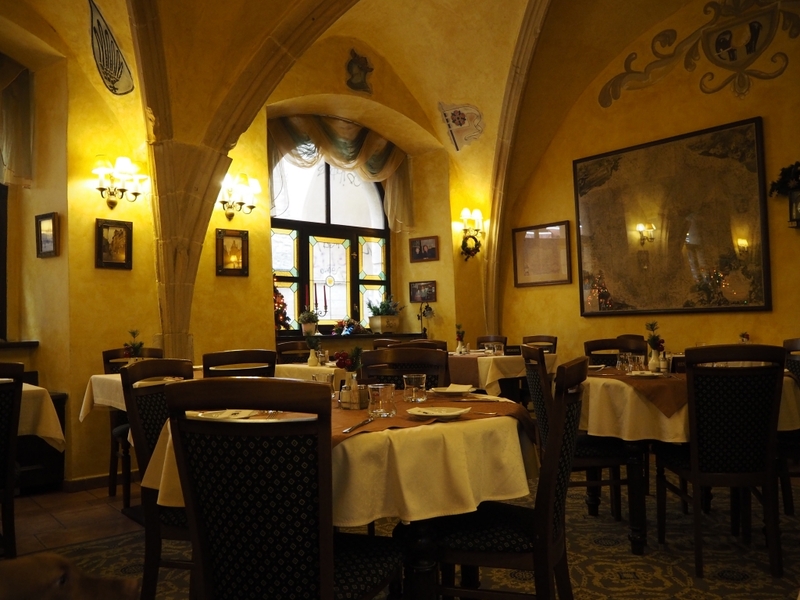 You can admire beautiful Gothic vault from the 14th century in the restaurant on the ground floor of the hotel. 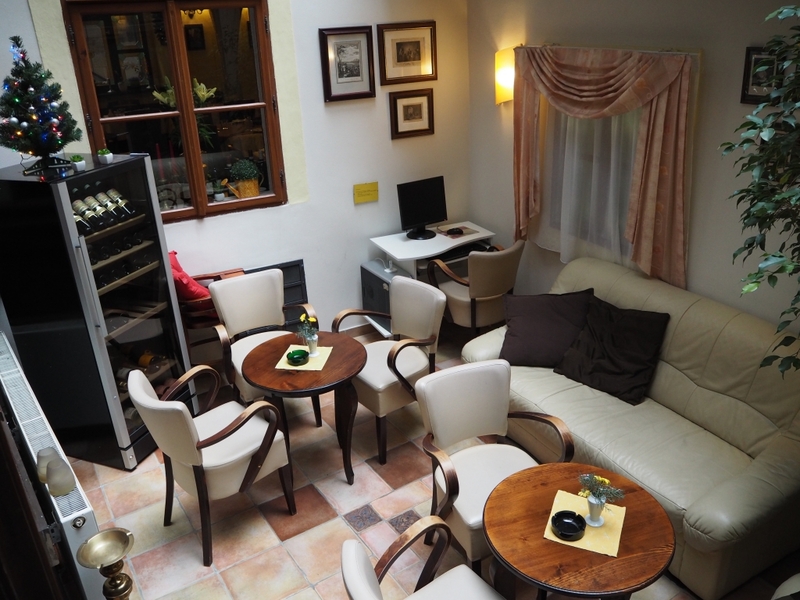 Wine bar ihas been established in the space of historic cellar with vaulted ceilings. 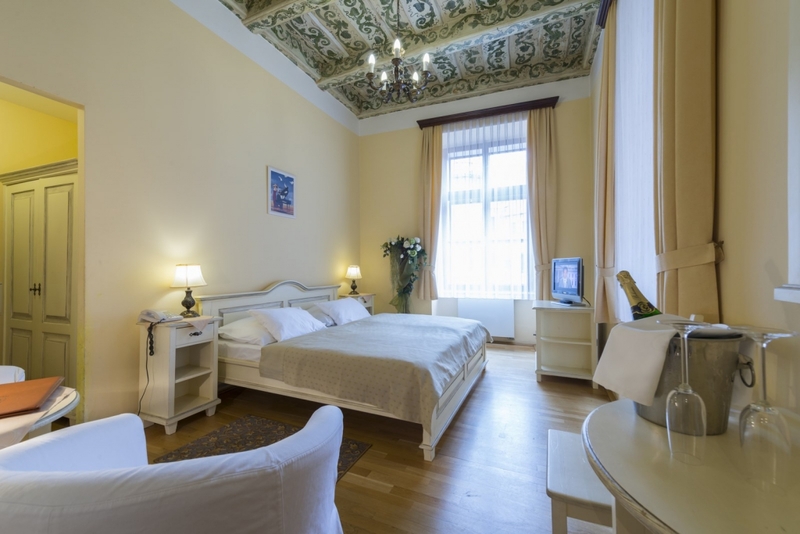 Some hotel rooms feature preserved painted wooden ceilings and wooden beams. We are very proud that house our family hotel is listed on the UNESCO list of protected buildings. Challenging reconstruction has brought high-quality facilities for the services of a 4 stars hotel and restaurant and even increased the comfort of our luxury hotel. 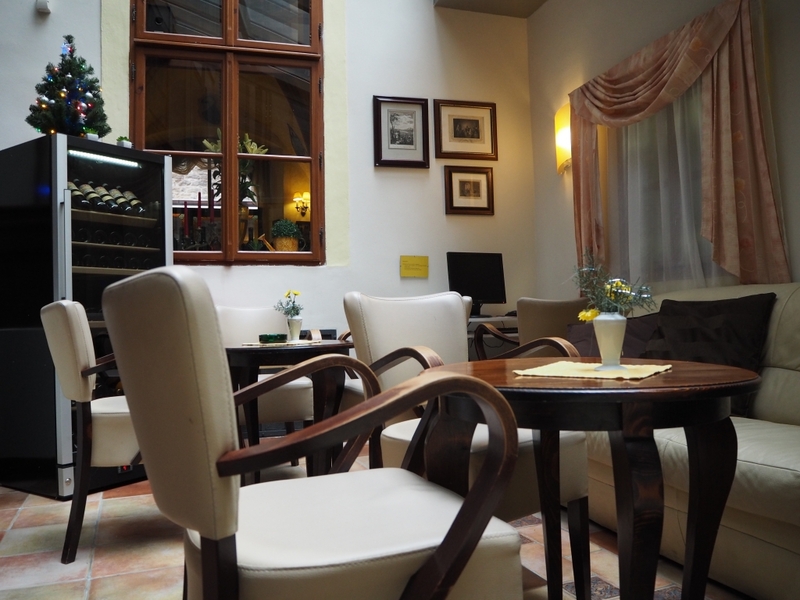 Now, you can enjoy the historic atmosphere combined with all necessary facilities of quality modern accommodation.